The Westgate & Birchington Rotary Club applied for and won a Rotary Foundation District Grant to have a disabled access ramp with handrails and black-out fireproof blinds installed at the Christ Church community Hall in Westgate. A plaque to record the project was erected in September 2014. 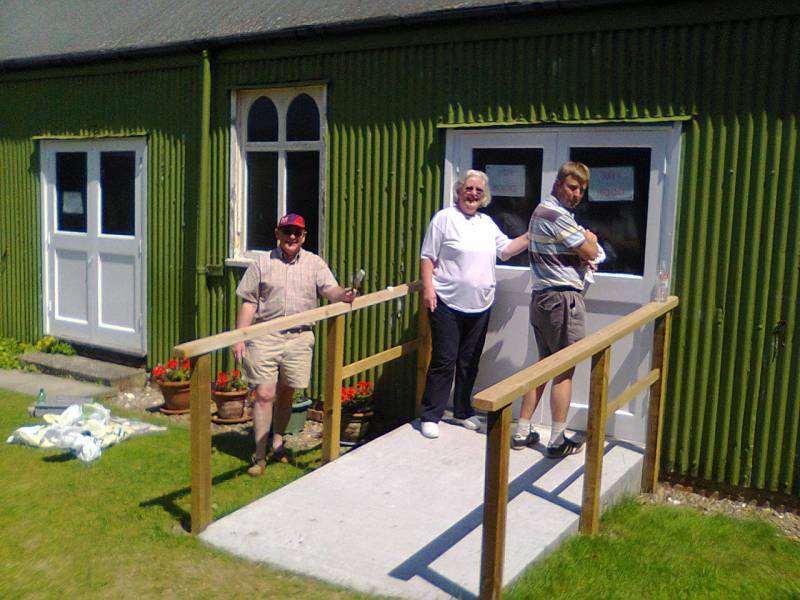 The Club matched the grant with its own funds raised locally and, also, a number of Rotarians painted some external doors. The Club believes that local projects such as this bring long-term benefits to all sections of our community.